Now I have to admit to you that I am a nail art fanatic -you will definitely find this out along the way- as I will keep you posted on all of my nail art exhibition if you will haha. 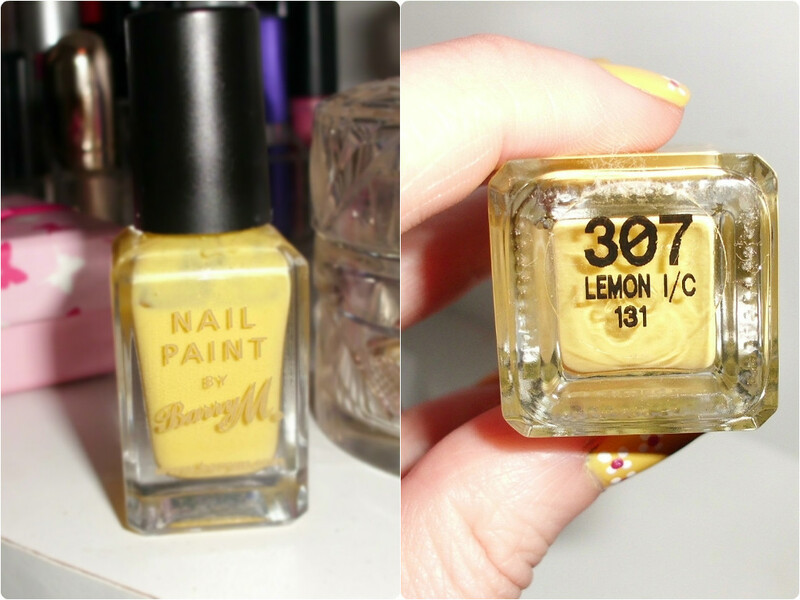 Yellow is rapidly becoming my spring colour; whether it's clothing, a slick of yellow eye-shadow, or in this case nail varnish. 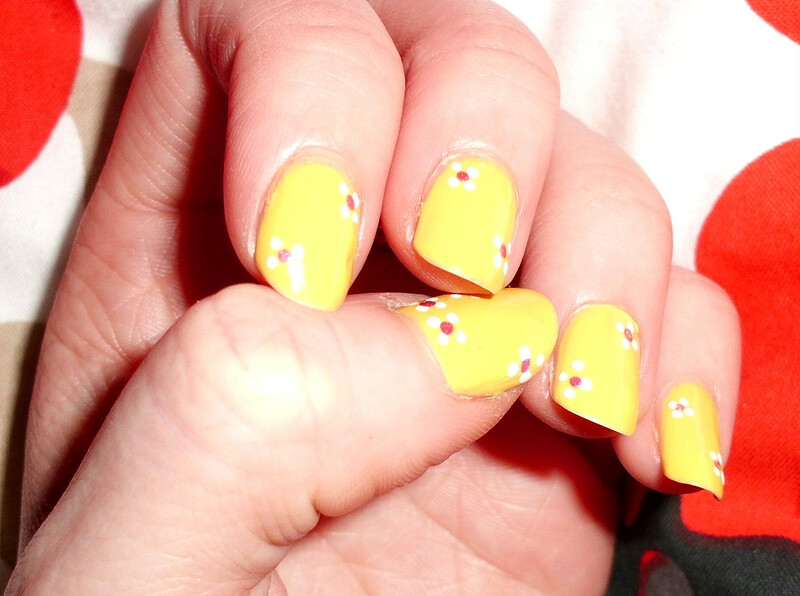 And clearly nails in Spring would not be complete without a floral twist! These are 100% my ultimate Spring nails -I'll be saying that next week about some other design-. 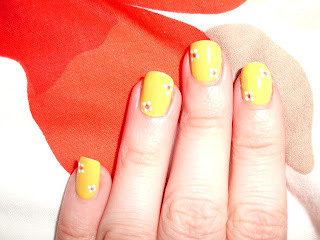 Before I got into nail art I would have been completely baffled about how to attempt to create small dots with such a large brush that you get with a varnish. But in reality it's very simple, you can just get hold of some RIO nail art pens, the ones that I use have nibs at one end and a very thin brush at the other. 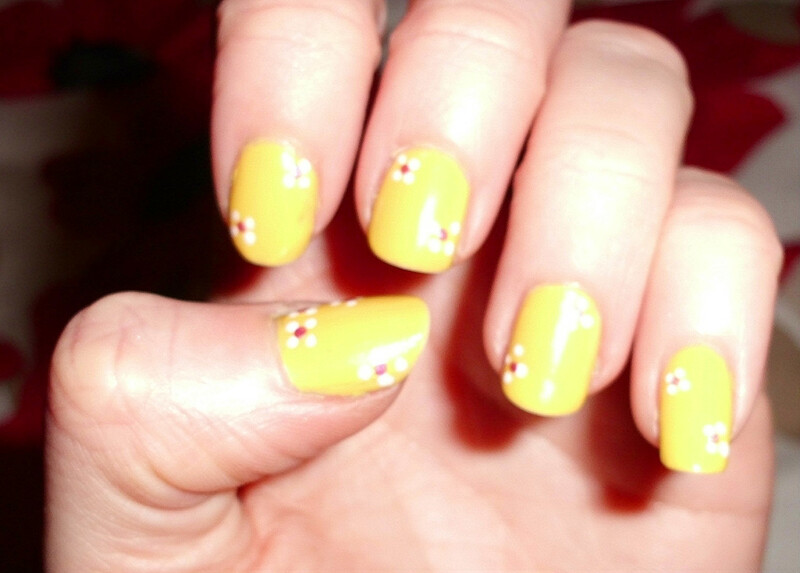 They make creating nail art much easier for the even the rookies of nail art, therefore making it more enjoyable too! 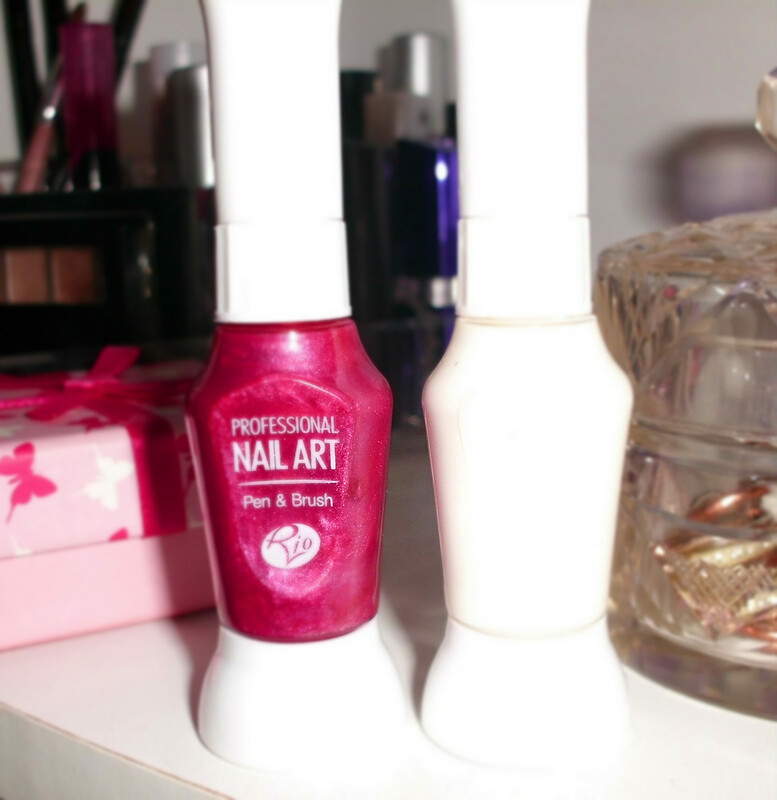 Similar RIO nail art pens can be purchased here. For these nails I used BarryM's 'yellow icecream' for the base and used the RIO nail art pens in metallic pink and white. I have recently found that BarryM have released their own nail art pens, -which I am very keen to get my hands on- I'm not completely sure if they have actually been released yet but I have seen reviews of them everywhere but I can't find them on Boots or anywhere! My Weekly Wish List #2.